Check that it matches the latest available version (see the Release notes for the latest version). See Getting started for help on installing software updates. Older versions of the stb-tester ONE (that shipped before June 2016) didn’t support HDCP. Placing an HDCP stripper between the system-under-test and the stb-tester ONE will fix this issue. Check the position of the stb-tester ONE’s IR transmitter. This is a low-power transmitter (to avoid interfering with other set-top boxes in your test lab) so it has to be close against the set-top box’s IR receiver. Some set-top boxes are very sensitive to the placement of the transmitter; for example this set-top box has a cylindrical shield extending around the IR receiver diode, so the stb-tester ONE’s IR transmitter must be placed precisely in front of the diode. 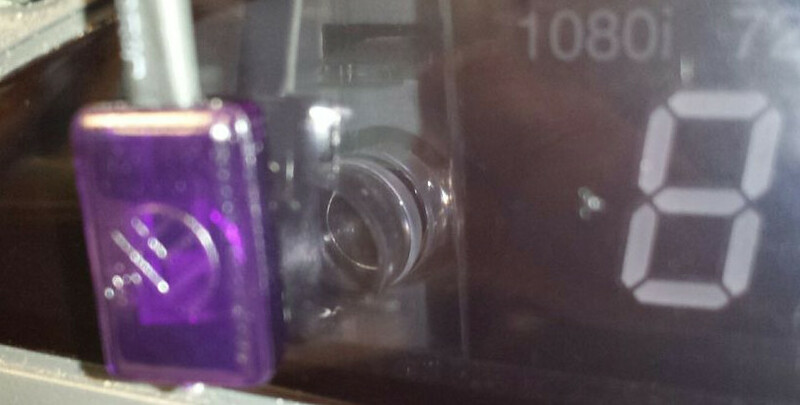 Using a torch (flashlight) can help you to see the position of the IR receiver behind the set-top box’s plastic case. If you’re still seeing issues, send us your infrared configuration file to support@stb-tester.com. …where “dan” is a three-letter ISO-639-3 language code. For more information about the config/setup/setup script see Customising the test-run environment. Use the lang parameter when you call stbt.ocr and stbt.match_text —for example stbt.ocr(lang="dan")— or set the default language globally by setting lang in the [ocr] section of .stbt.conf. The random soak option depends on the --shuffle functionality added to stb-tester v23. As such this option will be disabled unless test_pack.stbt_version in your .stbt.conf configuration file is set to 23 or above. Stb-tester devices auto-discover other stb-tester devices on the same network using Zeroconf. Are your other stb-tester devices turned on? Are all your stb-tester devices connected to the same subnet? Are all your stb-tester devices upgraded to the same software version? Does your network support mDNS / IPv4 multicast? Contact support@stb-tester.com if you have a different network configuration. Perhaps you don’t have enough network bandwidth to stream the full-quality video. Use JPEG thumbnails instead. Your browser will prompt you to save the file stb-tester-logs.tar.gz.